Alnair Labs offers narrow linewidth tunable laser (TLG200/300) & polarization-maintaining femtosecond mode-locked fiber laser (PFL-200). 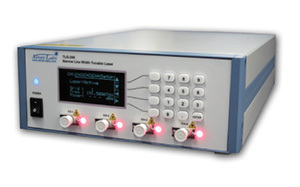 The TLG-series features <100kHz narrow linewidth C-band or L-band with wavelength tunability that is locked at ITU grid. for applications such as coherent communication and long-range optical sensing. The PFL-series is a compact pulsed laser incorporating carbon-nanotube mode-locker that produce. transform-limited soliton pulses with a typical pulse width of 450fs.